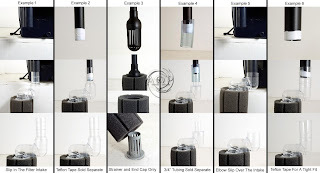 *This post shows several different how-to aquarium (& pond) sponge filter applications via diagrams/pictures. *This also includes Sponge Pre-filter applications as well. 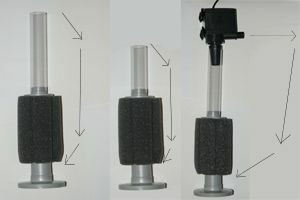 The first picture shows how the concept of an aquarium sponge filter connected to an air pump functions/works. This second picture shows the basic flow pattern with different lift tube heights or pump configurations. These next two pictures/diagrams show basic Sponge Filter set up methods. This picture shows a Filter Max Aquarium Prefilter connected to a AAP HJ-1542 Water Pump (a Filter Max #3 is recommended, although the #2 can work as well). 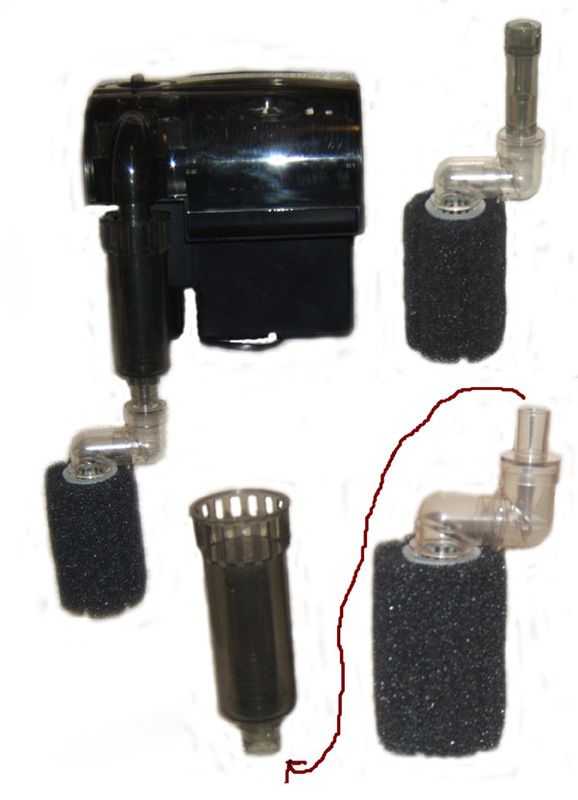 This application works well for using your Pump to other filters such a converted pond filter. 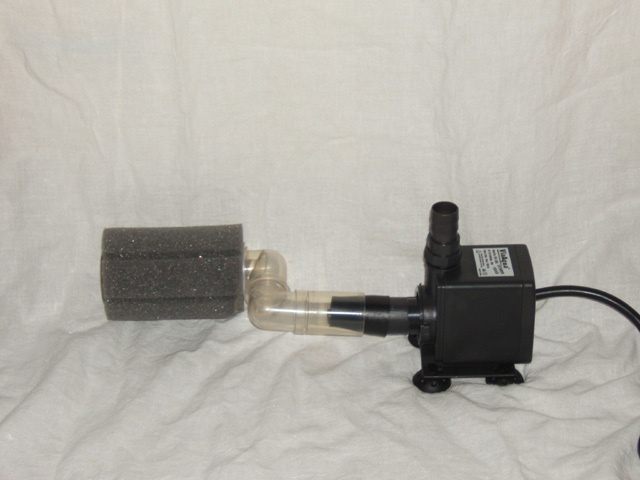 I've linked a pump to a filtration system in my pond, but if you want to make that you will have to make sure that the air pumps and filter are compatible and also the capacity of the pump is suitable for the volume of water in your pond.